Our environmental conditions can have a major impact on our well-being, comfort, and output. 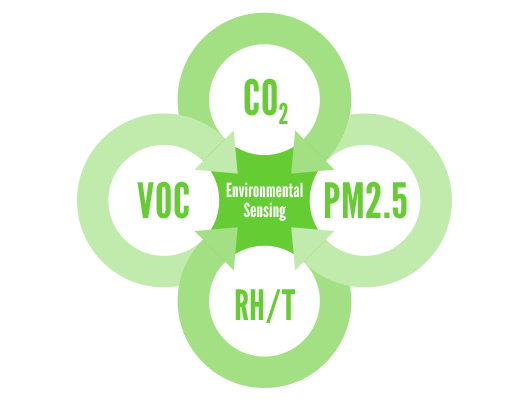 Sensirion’s sensor resolutions deliver comprehensive and reliable data on key parameters including humidity, temperature, volatile organic compounds (VOCs), particulate matter (PM2.5), and CO2. Environmental Sensing proposes new possibilities to create smarter devices that increase our comfort and happiness while also improving energy efficiency in a number of applications. 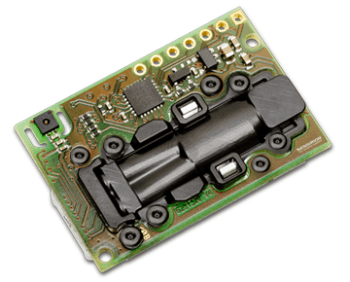 The SCD30 Sensor Module incorporates CMOSens Technology for IR detection for incredibly precise carbon dioxide measurement for HVAC and indoor air quality applications at a reasonable price. Together with the NDIR measurement technology for CO2 detection, a first-rate Sensirion humidity and temperature sensor is found on the same sensor module. Ambient humidity and temperature are processed using Sensirion’s algorithm know-how via modeling and recompensing external heat sources without the necessity for extra components. The dual-channel principle for the assessment of carbon dioxide concentration allows the sensor to intentionally and automatically make up for long-term drifts. The minute module height means it can be easily incorporated into many applications. Carbon dioxide is a key barometer of indoor air quality. Houses are increasingly more energy efficient due to new energy standards and improved insulation, but air quality still can deteriorate speedily. A comfortable and healthy environment indoors needs active ventilation, which can also enhance the happiness and output of the populaces. Sensirion’s SCD30 provides exact and unchanging CO2, temperature and humidity monitoring. This allows customers to advance new solutions to concurrently increase energy proficiency and support well-being.